Five days earlier, due to newly discovered evidence in her client’s case, the court had entered a stay of the execution order. She waited as the case moved on appeal to the Pennsylvania Supreme Court. Meanwhile, pressure was mounting. At the same time the state’s top court was receiving the case on appeal, it was being asked by the prosecution to lift the stay and allow the execution. “Hours before the execution, the Supreme Court hadn’t ruled on whether to lift the stay,” Freeman says. She was relieved when the court kept the stay in place, citing insufficient time to consider the new evidence. Her client is still alive, on appeal, waiting. And waiting. Freeman is one of four Philadelphia-area alumnae attorneys who’ve learned to be patient through the grueling process of giving people convicted of murder and sentenced to death another shot at life. 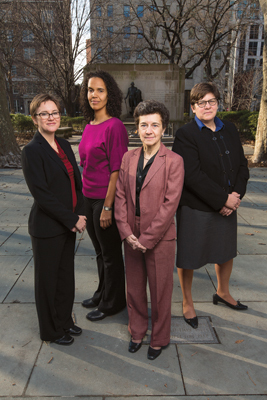 Freeman, Claudia Sarro Van Wyk ’77, Cristi Charpentier ’86, and until recently, Elizabeth Green Larín ’97, are attorneys for the Capital Habeas Unit (CHU) of the nonprofit Defender Association of Philadelphia. If successful in their appeals, the lawyers may see clients who’ve been found guilty of murder resentenced to life without parole. It’s rare but not impossible for them to achieve the ultimate outcome—win their clients a new trial or even win them release. “We represent death-row inmates in the later stages of their appeals,” Van Wyk says, explaining that the CHU investigates claims that could be a part of a petition for habeas corpus asking federal courts to address constitutional violations. Assigned to investigative teams, the four women conduct “lawtopsies” to ascertain whether defendants have been adequately represented by their previous lawyers. They peruse school and medical records, rooting out mitigating evidence—histories of traumatic childhoods, intellectual disability, sexual abuse, parental violence, or psychological distress—little of which, in many cases, had been addressed at trial. They visit clients on death row and speak with family members, friends, and neighbors to discover whether clients were late talkers, slow learners, or incapable of holding jobs. They also review investigative files, scrutinize scientific evidence, track down untrustworthy witnesses, and look for undisclosed evidence. If they uncover evidence that the conviction or sentence was unconstitutional, they seek relief in state or federal court, Van Wyk explains. The last execution in Pennsylvania occurred in 1999, but 198 inmates reside on the state’s death row. Cristi Charpentier, a supervisory assistant federal defender, is proud of the CHU’s role. She mentions a client, a stateless refugee—one of the Vietnamese “boat people”—who was resentenced from death to life without parole on Dec. 12. Charpentier joined a team that also included Larín and Freeman. “We got the case in habeas,” Charpentier says. “I was asked to get involved at the point where some investigation needed to be done. It was arduous. I’m the long-haul trucker in the group,” she adds, laughing. “It meant going to Ho Chi Minh City for four days and having one shot at obtaining a lot of information. It made the case very authentic, and, though it took our team three years of negotiations, we reached an agreement. “It was a good, big day for this man,” she says. 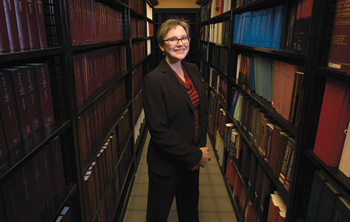 Obtaining background information on her clients—learning enough to be able to express “where and how a person is forged and drilling down to that place of origin”—is crucial, says Charpentier. “There’s a whole life that happened before someone gets taken off the street.” Good, well-trained lawyers realize the importance of this. Building trust relationships is key, says Freeman. 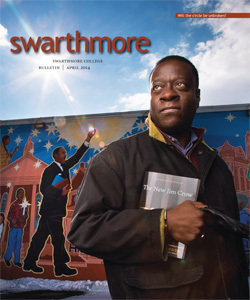 Many clients come from families with long histories of substance abuse and/or violence. Without reliable parenting or teachers who have taken an interest in them, they become wary. A federal defender for eight years, Larín left the CHU in November to work for the Community Legal Services Office in Philadelphia, where she helps indigent, underserved women, and their families in the child welfare system. “I hope that there, I can have some positive impact on people’s lives before they end up somewhere awful like death row,” she says.